From: Ian O'Brien, Founder of TheIOMProcess.com - "The Process"
In exchange for this tiny investment, I am going to give you the greatest gift I could ever give an adult like you with the passion to play guitar. It's the key to my "guitar learning vault" ...a literal treasure trove of 'cheat sheets', video courses, resources and shortcuts to enable your guitar playing success. Picking up a bit from Youtube and maybe a little from a friend? Practising 'trial and error?' guitar learning? Or do you have a clear-cut plan to learn to play guitar? If you are 'winging it,' don't feel bad... you're not alone, For the better part of my guitar learning, that's what I did too. I'd been teaching a few people guitar privately and I was offered the option to do what I love for a living, to teach guitar professionally at music college. So over one summer, between playing music and teaching private students, I carefully broke down and systematised each and every aspect of learning to play guitar from scratch. I painstakingly analysed my own playing: What worked, what didn't and more importantly why. But I didn't stop there. I sought out great books, DVD's, classes and teachers and set about creating step-by-step courses and resources to achieve my goal. ...and that's just to name a few​! I documented virtually every aspect of learning to play guitar in step-by-step detail for all of my students to use. (And there were over 6 complete video courses when it was all said and done). My 'guinea pigs' asked a lot of questions after watching my courses, which told me exactly how I needed to beef them up and improve them. And then I handed them back to my test group to try again. In short, I had a brand new and different method of learning to play guitar that systematised all aspects of learning to play from the very beginning. 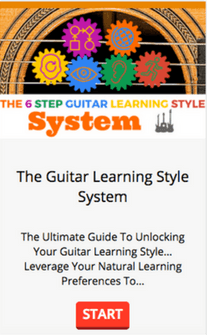 In fact I was so proud of how effective my beefed up video courses were, I decided to rename them 'Guitar Learning Systems'. ...But when it comes to playing and teaching guitar, I've done pretty well. I've been lucky enough to travel and play with musicians all over the world​. But again, I've done well. More importantly, the people I've taught have done well. ...Even if they'd never picked up a guitar until our first lesson. At last count, I've taught over 500 people to play. From 1 to 1 lessons and small groups to whole classes of players at music college and BBC music workshops. In fact any astute guitar player will be quick to point out that "it's not how quickly you learn, but how thoroughly and effectively that matters." And fortunately, the guitar learning systems that I created ​not only allow my students to get playing songs fast and overcome their doubts, such as having too fat or short fingers, being too old to learn or not having natural talent. They also allow them to easily make sense of the whole picture of playing the guitar, the mechanics of it and how to actually learn to play songs on guitar by themselves. 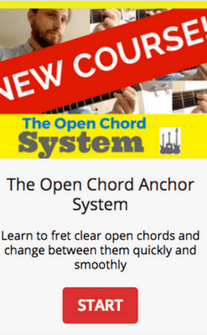 In other words, my method creates self sufficient and independent guitar learners. Until very recently, these guitar learning systems, video courses, checklists and cheat sheets were mine alone to use with​ my students. They were locked in my resources vault and unless you attended in person lessons with me you'd never see or experience them. 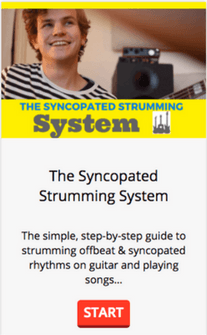 Plus, I'm​ continuously developing new resources and strategies for all aspects of playing guitar and when I do, I systematise it, document it and turn it into a 'Guitar Learning System' (A beefed up step-by-step video course) that all members can take advantage of. 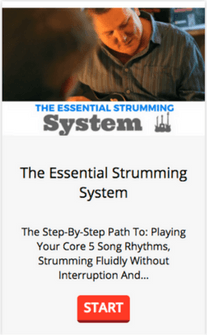 The Essential Strumming System...For Beginners & Struggling Guitar Players. The Step-By-Step Path To: Playing Your Core 5 Song Rhythms, Strumming Fluidly Without Interruption And Developing Solid Musical Timing. 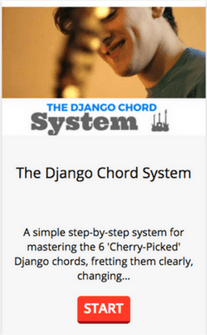 The Beginner Song Chords System: Master Beginner Guitar Chords, Changes & Sequences...And Unlock The Playing Of Real Songs At Each Stage. 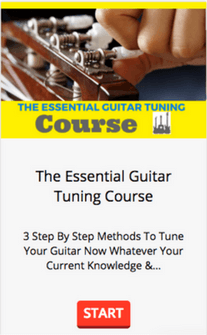 The Essential Guitar Tuning Course: 3 Step-By-Step Methods To Tune Your Guitar Now, Whatever Your Current Knowledge & Ability. Tune With A Tuner, With Reference Pitches & With Your Ear. ...and that's just to name a few! These Guitar Learning Systems are great for complete beginners, but what if you've been playing for a little while and you know the basics? These Guitar Learning Systems are without a doubt the ULTIMATE SHORTCUT to finally playing guitar the way you've dreamed of for so long. And by joining 'The Process' today, you can have immediate access to all these Guitar Learning Systems: video courses, checklists & 'cheat sheets' for just £1. ...I don't gloss over any aspect of the song or go too fast, instead spend a complete hour carefully breaking the song down into it's components. You'll lean each chord, rhythm and technique and more importantly exactly how to put them all together to play the song ...every single week. ...and as it's completely LIVE, I'll be able to answer all of your questions about playing the song on the spot. If you'd like me to speed up or slow down, demonstrate something again, answer any question or focus on a particular part of a song for longer... I will. It's like you're sitting in a private guitar lesson with me, but without having to leave your own home! ...and I'll stay on until the last question is answered every single week. Plus, in 'The Process: Live - Song Archive' you'll get access to the recording of every Live Lesson so far to watch later in your own time, as many times as you want. ...And getting help with what isn't, exactly when you need it. Fellow adult guitar learners of differing levels and abilities plus the Ian O'Brien Music team of expert guitar teachers. And once you have shown that you are committed to this group, these members will be ready and able to come to your aid. But fair warning: You will be expected to do the same and help out your fellow guitar learning community. We never let a question go unanswered so ask away as much as you like. Normally my private lessons are at £60 an hour (when I have availability), but as a Guitar Learning Questions VIP, you'll have the opportunity to receive advice and feedback direct from me at no extra charge. 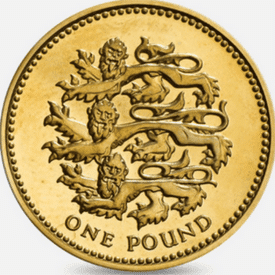 As you have probably already guessed, I'm not getting rich giving away my best stuff for just £1. My sincere hope is you'll love what you see and choose to stay. If not, that's ok, too. Just cancel before the 30 days are over, and you'll receive a full refund. But if you do love it (and I think you will), you'll automatically be renewed at our charter member rate of just £19.57 a month. ...or the time you'll save by getting a direct, specific and immediate answer to that one big question that's been plaguing you. ...Not having to waste time waiting for your next guitar lesson can make a big different to the speed of your progress. If you aren't able to start strumming your favourite songs, build confidence with your playing and getting helpful answered to your urgent questions during the first 30 days, then I'll insist that you bow out and look for help somewhere else. Again, that's how confident I am in what you're about to have. Q: How Long Will It Take To Get Access To This? Your login and access information will be sent to the email address you provide, and I'll also explain how you can access The Process member's area. 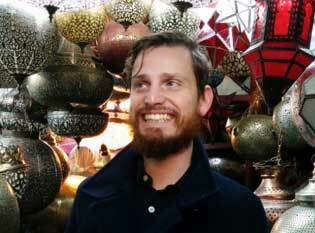 ​Q: How Does This Compare To Having Lessons With A Teacher? 1. It's not possible to immediately take in and apply everything that is taught in a lesson. Often you'll need to 'get' one thing before moving on to the next and to 'get' that first thing takes practice. So, a certain amount of the teaching and your time is wasted. Having prerecorded video lessons and downloadable resources where you can return to what you need to know at any time, solves this problem. 2. You will always have questions unique to your guitar playing and learning that can come up at any time, not just during a lesson. Not having to wait until your next lesson to get answers to your questions have a huge impact on your rate of progress. In my members only Facebook group you can jump in, ask away and I'll get right back to you with your answer and a video demonstration of it. 3. 1 to 1 lessons can feel lonely. Having a sense of community around learning guitar is one of the ​reasons that people stick with it and overcome their challenges. Inside 'The Process' we have a growing community of guitar learners who encourage, motivate and inspire each other with their guitar playing every day. A: Yep...everything we do has a 60-day, no-questions-asked guarantee. In other words, if you aren't happy for any reason, just let us know and we'll give you your money back. We obviously don't think that it'll come to that, but if you're even the least bit worried if this will work for you, the put your mind at ease. Q: Do You Have Any Examples Of Other People Who Have Used Your Methods To Get Good Results?